Every homeowner who dreads the drudgery of housecleaning needs a hero to turn to when the demons of dust and dirt threaten their happy home. In more than 40,000 homes with full systems and over 65,000 total customers throughout the Portland metro area, that household hero is Gary Phillips and his crew of certified installers at Gary’s VACUFLO. Phillips has created an award-winning and record-breaking company by focusing on just one thing—being the best at selling, servicing and installing central vacuum systems and accessories. Becoming the victorious champion of vacuum system sales wasn’t even on the radar screen for Phillips while he pursued a career as an air traffic controller in 1967. That career was grounded in 1981 by the air traffic controllers’ strike. When labor negotiations failed, President Reagan fired the majority of controllers who refused to return to work without contracts—and Phillips found he was suddenly motivated to begin a new career to support his young family. In 1982, Phillips, a native Oregonian and Hillsboro High alum, began a business venture selling, installing and servicing VACUFLO Central Vacuum Systems as a sub dealer in Anchorage, Alaska. The business flourished for five years as a one man operation utilizing his home and garage. In 1987, he returned to the Portland area and restarted this satisfying business from his home in SE Portland. A year later he began hiring employees. After six years, having grown to twelve employees, he purchased and relocated the business from his 1200 sq. ft. home to a 5,300 sq. ft. commercial building 10 blocks away. From those humble beginnings, Phillips grew his company to 74 employees. During this period a satellite showroom in Beaverton was opened and a full service operation was established in Central Oregon. In late 2008/09, in order to survive the great recession, the number of employees was reduced to 17 and the two offices in Beaverton and Bend were closed. Sales and installation operations continued in Central Oregon out of a storage facility. The first employees to be hired thereafter were in 2013 by adding 5 new positions. Future plans are to continue with business growth and hiring as the economy rebounds. 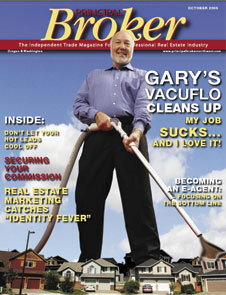 Gary and his team have garnered national awards and recognition as the leading VACUFLO dealer and the largest volume company of central vacuum systems, regardless of brand, in the country. Phillips and his company are also consistently honored by various Trade and Builder Organizations like the Vacuum Dealers Trade Association Award in 2008 which was an induction into the VDTA Hall of Fame. Gary’s company vision sums up the award-winning sentiment that permeates all parts of the company: “Delightfully exceeding expectations at all times.” Gary’s personal passion, shared by his team, is to improve the indoor air quality of living and work spaces in homes and businesses. Record-setting sales and thousands of raving fans/satisfied customers are proof positive that the corporate vision and personal passion are right on target.